As with all WASP SST broadheads, the Jak-Hammer features a pre-aligned, Stainless Smart Tip (SST). 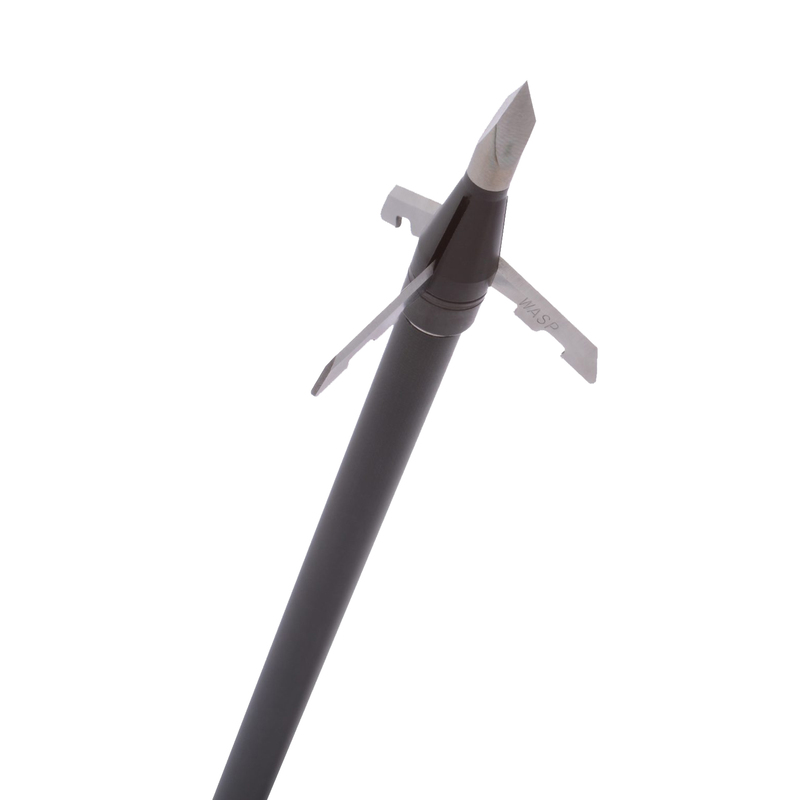 The three surgically sharp stainless steel blades of this mechanical broadhead fold forward in flight and are retained by an O-ring. 3 Per Pack. 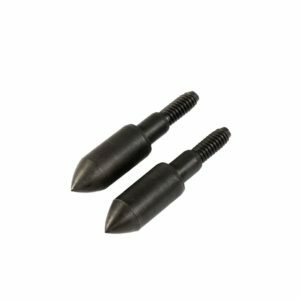 As with all WASP SST broadheads, the Jak-Hammer features a pre-aligned, Stainless Smart Tip (SST). The edges of the trocar, Smart Tip are factory- aligned with the rise of the three stainless steel blades creating a straight cutting path that opens a gaping wound channel, ensuring maximum penetration. The three surgically sharp stainless steel blades of this mechanical broadhead fold forward in flight and are retained by an O-ring. Blades deploy on impact and fold back to a cutting diameter of 1-3/4 inches. I’ve had the opportunity to take several deer and a turkey with this head, and it continues to impress me. I’ve never had a deer go more than 75 yards, and the holes are nothing short of amazing. Confidence in your broadhead is everything. I’ve shot through ribs, shoulder blades, and even a buck’s femur (completely my fault, not the head) all resulting in short blood trails and recovered animals. These heads fly true, are tough as nails, and surgically sharp. I absolutely love these broadheads. I used the Jak-Hammer two seasons ago with nothing but great results. Didn’t have to do much tracking, as I watched the first four deer pile up. The only true tracking job (60 yards) provided a great blood trail. Last season, I got caught up in the rave of the RAGE 2” display of flesh yielding devastation; however, I did more tracking last season and the beginning of this season while shooting the Rage Extreme. It got to the point of being frustrating. On January 1st of this season (not a New Year’s resolution), I decided to go back to the Jak-Hammer and I am glad that I did. I was pinned down with a nice 10 underneath me and 2 shooter 8’s both within 12 yards. Long story short, I had to take a not so popular shot and arrowed the buck between the shoulder blades. I felt completely confident that the Jak-Hammer would get the job done, and it did. Although I had to track the deer, which I figured would be the case at that angle and shot location, I found him at 100 yards. A few days later, I nailed a 110 lb. doe at 40 yards and watched her fall at 75. The Jak-Hammer’s 1 1/4 inch cut is nothing short of amazing, and I will be shooting them from now on! The Jak-Hammer as impressed me beyond belief. I did some testing with them today and not only do the fly just as accurate as my field points all the way out to 80 yards, but they are the most durable mechanical I’ve ever shot. I took the same broadhead with the same o-ring and shot it into a target 30 plus times, through a 4’ thick chunk of ice, through a steel belted tire, and after all that I just need to replace the blades and its good to hunt again. The ferule and tip are in great shape! Also the 1 3/4” looks devastating and it opened every single time no matter what i shot it into. This broadhead will for sure be the star of my quiver this year! nothing but good things to say about wasp jackhammers.all deer hit with them went down in under 30 seconds. 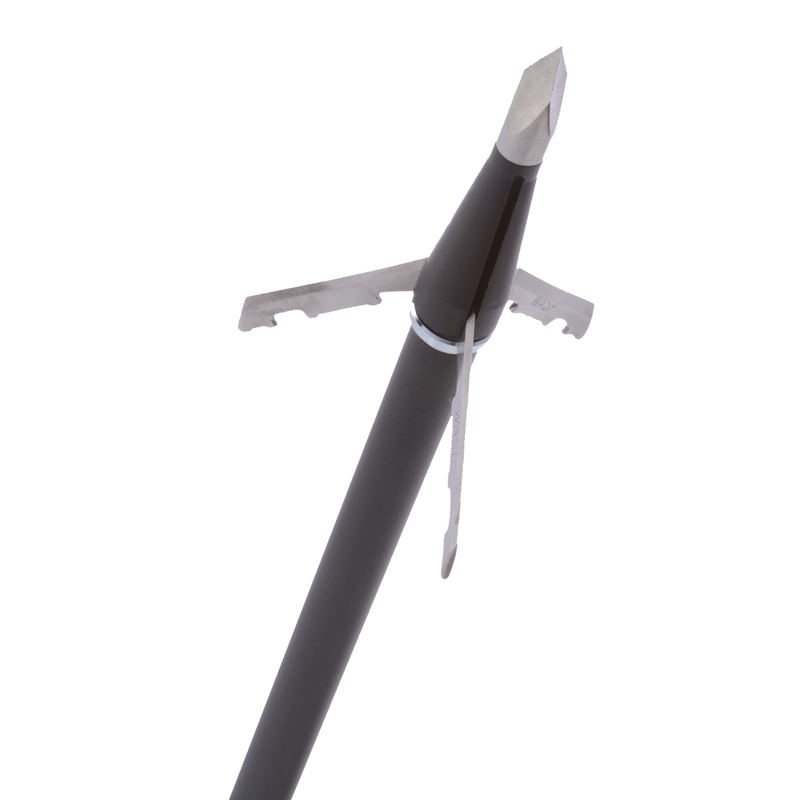 This is an outstanding broadhead.I can’t say enough about how sharp and tough they truly are. I had a pass through on a doe that was at 22 yards and she ran no more than 20 yards from where I shot her. After recovering my arrow and inspecting the broadhead, I found that everything was still in great shape. Even the blade retention band had not broken but had just slid all the way back to my fletching. After cleaning the doe I found out that the broadhead had broken a rib on either side of the animal and not a single blade broke(this is what really amazed me.). All in all, i am very happy with this broadhead and will continue to keep using them. At 30 yards the 120 class whitetail would not stop! My shot went a bit further back than I wanted but the big 1 3/4 blades caught the liver ensuring a kill! Haven’t lost a deer with these heads yet! You can’t get what you don’t cut! These heads do the damage! I just took my 36th deer with these heads tonight and once again they performed flawlessly. I am ultra particular about my archery setups and equipment, if there’s even the slightest doubt in my mind about a product I will not use it. In the end the broadhead is the key to your success in archery, and I will never trust any other broadhead than the Jak Hammer. They’ve assured me many clean humane kills and I’ll continue to use them as long as I’m archery hunting. I have used this head for a number of years. I am impressed with the durability and field point accuracy beyond 50 yards. The Jak Hammer leaves a great blood trail and I am yet to track a deer beyond 50 yards! I would highly recommend the Jak Hammer, you will not be disappointed with the reliable performance! 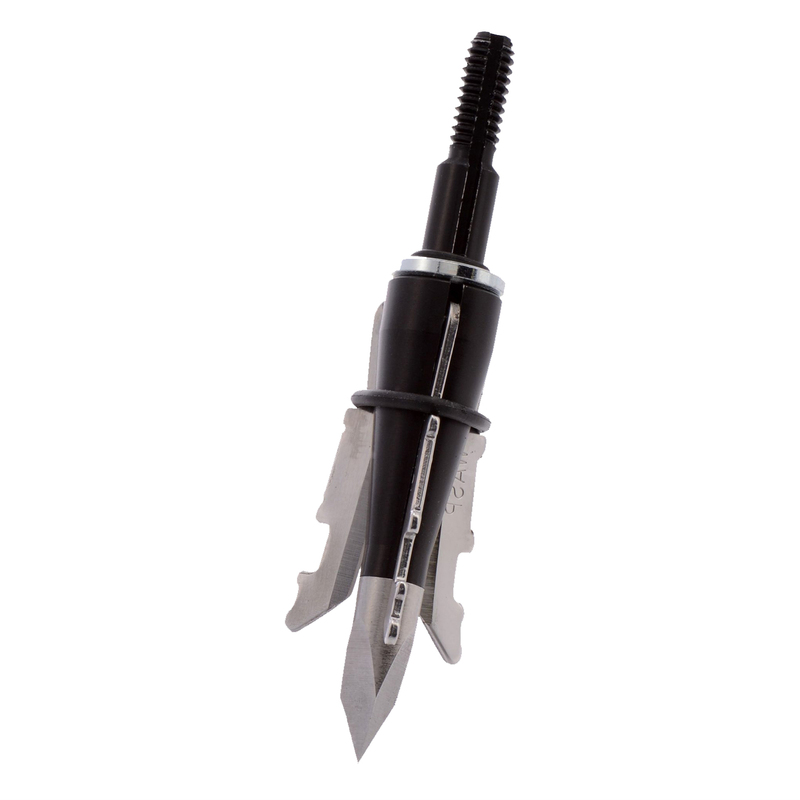 Hands down a super sharp, field point accurate, massive cutting diameter, tough broadhead. Have used these for years, I usually harvest 2 – 3 deer a year. Have always had excellent blood trails, pass through’s and often deer have expired with in sight of my stand. Many under 30 yards. With no screws or mechanical locks to fail, select a-cut-option, I believe this head is as GOOD as it gets! Took my first deer with a bow in 34 years with a Jak-Hammer today. The shot was back and angled out the left hind quarter (my fault). Deer only went 30 yards. Massive blood loss. Will never switch broadheads.Thanks for the great product! No other broadhead holds a candle to the wasp jak-hammer. I have never had one failure with this head and the entry on impact is absolutely amazing. Not to mention the blood trails are insane. Looks like someone walked through the woods with a red paint bucket. 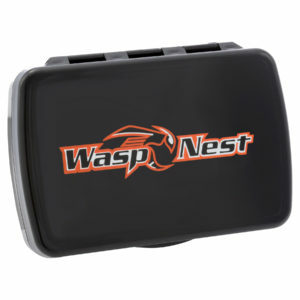 Once you shoot a wasp you will never want to go to another broadhead. Between me and a friend doing professional deer culling for various cities and personal harvest of whitetails, we have figured that we have killed 250 plus whitetails with these broadheads. Never one broadhead failure, period. Good advertising doesn’t make a good broadhead. You want the best, shoot wasp. Wish they sold them by the case! I have been using the Jak-Hammer since 1997 and have had great success! Have yet to lose a deer, Flies straight and hits hard! Best expandable head in the market.